“The thing we love most about Neo4j is that it’s truly the only native property graph on the market that does what it says it’s supposed to do,” said Clark Richey, CTO and Co-Founder of FactGem. There are a number of powerful advantages to using a native graph database, largely because they are optimized to both store and process graph data. This allows native graph databases to perform queries faster, scale bigger and run more efficiently. 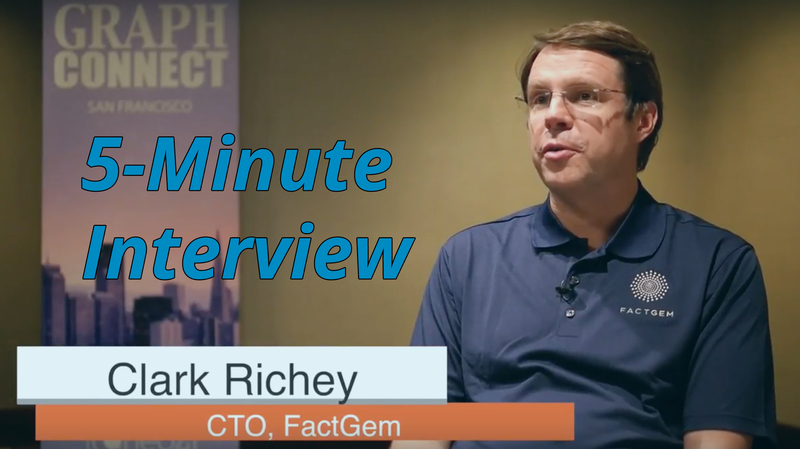 In this week’s 5-Minute Interview (conducted at GraphConnect San Francisco, we discuss all the reasons FactGem chose to build their platform on top of Neo4j, as well as the benefits this marriage brings to their customers. Talk to us about how you use Neo4j at Factgem. Clark Richey: FactGem has built what we call an enablement platform on top of Neo4j. Neo4j is our core — and only — database solution. We believe so strongly in the power of graph technology and what it can bring to enterprises that we want to remove all initial barriers of entry. If you can show someone data insights very quickly using a graph, people are likely to commit resources to training and learning more about Neo4j. At FactGem, we’ve built an application that lets users model their own data by applying a schema on top of Neo4j. Users build their data model intuitively through the Neo4j Browser, just as if they were drawing on a whiteboard. Next they can upload their data from CSV or Excel files, and use drag-and-drop features to build out their own dashboard and queries. This provides graph data visualization and insights without ever having to write a query in Cypher or involving any engineers. From there we even have some custom applications – retail being the one we’re launching first. Richey: The thing we love most about Neo4j is that it’s truly the only native property graph on the market that does what it says it’s supposed to do. Neo4j is purely focused on the graph data model: they’re not graph and document, they’re not graph and something else — they’re just a native graph database, and they do it well. The support team is fantastic, the staff are very accessible and the documentation is great, all of which makes it very easy to get started. And it just performs really well. What is the most interesting or surprising result you’ve found since working with Neo4j? Richey: We’ve been working with customers to help them leverage data previously locked in silos by bringing it into what we call “consolidated fabric.” In doing this, one of the things we’ve discovered is that people are storing huge amounts of duplicative information in their enterprise data warehouses because they can’t query across these silos. But as we pulled data out of the silos into the fabric and the graph, a lot of the duplicative data gets left behind. In another example, a company was pre-calculating the number of customers new to their brand. But when we migrated all of their data up into the data fabric, we left those calculations behind because Neo4j can perform them much more accurately and efficiently. So it has been particularly interesting to see that not only can you use the graph to bring data together to answer questions; you also no longer have to burden yourself with extra data forced on you by your technology. Knowing everything about Neo4j that you know now, if you could start over, is there anything you would do differently? 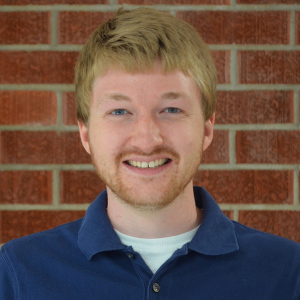 Richey: We’ve been working with Neo4j for about two years now, and started with the 2.0 release. If we could get started all over again, we would have gotten people into a full training sooner. Unfortunately at the time we were re-building the plane as we were flying it, so to speak; we had a customer project to turn around on a really tight deadline. This led us to learn a lot of things the hard way, which are sometimes the best lessons. Today, especially with all of the revamped Neo4j training offerings, I really encourage people to engage with Neo4j training and onboarding to learn how to do things right. With any new database, you’re inclined to do things the way you did in your previous database, even though they operate in different paradigms. This leads to pitfalls, so my number one piece of advice to past me is to do the training. Richey: We’re really excited about where Neo4j’s heading in the future. The new Neo4j 3.1 release is extremely exciting, and we’re happy that Neo4j is focusing on the core graph technology by making it scalable and enterprise-ready.